Niche perfumes. Today I want to take you around a little bit special tour around the world, following the trail of Perris Monte Carlo niche perfumes. I had the privilege of discovering the world of Perris Monte Carlo niche perfumes a few months ago and by now I tested most of the various fragrances and essences of the collection, so I want to tell you more about their history and the characteristics that have impressed me the most! It all started in the Principality of Monaco, home of the Perris Monte Carlo maison of perfumery (HERE to read the whole story), to fly to the most remote corners of the world, where the most precious raw materials are found, from which the most precious essential oils in the world are extracted. Over time I have had the opportunity to try many of the fragrances that make up the olfactory wardrobe by Perris Monte Carlo, and now each of them is linked to a memory, a journey, an experience, a moment that I will always carry in my heart. The perfume that I wore first was definitely the one that, at first glance, captured me the most. I was in the beautiful setting of the Yatch Club, in the Principality of Monaco, a place very dear to me for the beautiful summers spent in the French Riviera with my family and friends. I smelled this perfume based on tuberose, a nocturnal white flower from Central America, able to give off an elegant and inebriating aroma, enhanced in Tubéreuse Absolue with hints of bergamot, orange blossom and jasmine sambac. A fragrance that has conquered me so much that I also want to try the Tubéreuse Absolue extrait, that accompanied me throughout the Paris Fashion Week. A prestigious fragrance, just like the panoramic view of the Eiffel Tower offered by a privileged point of view such as the Hotel Shangri-La Paris. Sempre nell’America Centrale degli Aztechi in cui viene coltivata la tuberosa si trova un altro ingrediente scelto dalla maison Perris Monte Carlo. Si tratta del cacao, utilizzato per realizzare Cacao Aztéque. Un profumo ispirato da una particolare bevanda che veniva realizzata storicamente in quelle terre e che si pensava donasse potere e saggezza. Al suo interno, oltre alle fave di cacao, ci sono cardamomo e peperoncino, mixati a note floreali e legnose. Un risultato esotico, per niente dolce o stucchevole. Let’s fly now on an island in Madagascar in the middle of the Indian Ocean. It is called Nosy Be, but everyone knows it as a “scented island”. In the air you can breath notes of vanilla, coffee and cocoa. But above all Ylang Ylang. A large flower, bright yellow, and the main element of the fragrance Ylang Ylang Nosy Be that accompanied me during my trip to Bali. Yes, because every trip for me has a scent that identifies it and I like to choose the right one before every departure: sometimes based on the place I’m going to, others based on how I feel at that particular moment. Here I was at the Ritz Carlton in Bali: when I travel I like to wake up early in the morning and in Bali the sun rises very soon. So, every morning, at 7:00 am I loved sitting on the edge of our private pool and watching the bay slowly awakening in front of my coconut trees. Two drops of the perfect perfume for that moment and I felt like I did not really need anything else to start a new day. The second fragrance I brought with me to Bali is called Patchouli Nosy Be. Originally on the island of Nosy Be there was no Patchouli plantation: several planting attempts had been made that had never been successful due to the very high temperatures. One day the director of a ylang ylang plantation comes up with an idea: to cut some seedlings from an abandoned Patchouli plantation, plant them by hand on the island of Nosy Be and place them in the shade of larger ylang ylang plants, so that they don’t get too hot. A brilliant intuition thanks to which he managed to grow a new quality of Patchouli essential oil from which the Patchouli Nosy Be derives. By evaporating this fragrance my mind returns to the disruptive energy that I breathed in Bali, an energy that left an indelible mark inside me. We now fly to another continent, Asia, and specifically to China, to Guilin. It is one of the most picturesque regions, a world tourist destination, also because, between October and November, the Osmanthus flowers blossom and you can smell them in the air. A flower around which was created Absolue D’Osmanthe fragrance, a sensual, sophisticated and deeply fascinating one. This is exactly how I feel every time I spray it on my neck and wrists, just like that September evening at Venice Film Festival. A long dress to the feet, black, covered with yellow sunflowers. The perfect combination to live a night like a real princess. Let’s move now to the Middle East, particularly in Saudi Arabia. The land of aromas par excellence. The most precious oil in the Arab world comes from there, from the rose of the city of Taif. At the first light of dawn the roses are harvested by hand and then selected and processed in an artisan way. These roses have a special aroma, which in Rose de Taif fragrance is enhanced and made even more sophisticated thanks to the combination of green and citrus notes. 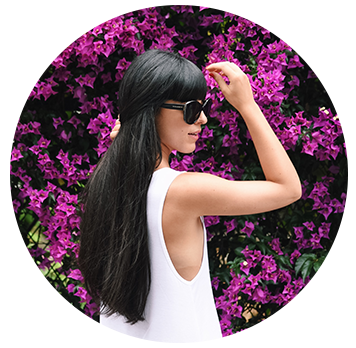 A fragrance that does not go unnoticed and that allowed me to feel the best during Milan Fashion Week. Running between shows, presentations and events, I felt deeply confident as I knew I had the perfect perfume, suitable for the occasion, to my mood, the only one able to represent me at best in that important moment. Another very popular essential oil in Saudi Arabia is the oud. It is derived from the resin of South-East Asia aquilaria trees, produced to protect against the attack of a particular type of mushroom. In Oud Imperial fragrance this precious element is enriched by the Union with spices, incense and other precious woods, Cedar Atlas, Sandalwood and Java Vetiver. Intense, woody with nuances of musk: the perfect fragrance for fall. Rose de Taif and Oud Imperial are the fragrances that me and my boyfriend chose for one of our last trips in 2017, the one in Dubai. In a moment they transport us back in time, in that typical oriental atmosphere, warm, spicy and seductive, which can be felt only in those places. Dubai is such a fascinating city and its charm lies in the combination of very distant elements. On one side the city with its modernity, its race to the records and its skyscrapers. On the other, the desert, the nature, the authenticity of the most ancient traditions. Two worlds and two universes that look at each other and complete each other, just like Rose de Taif, on me, and Oud Imperial, on him. Finally, let’s move to the Pacific islands, between Asia and Oceania, where special Sandalwood trees grow, the wood of which produces an intense aroma, always used in Buddhist and Hindu rituals as it was believed to favor meditation. With its precious essential oil, the maison has created one of the most enveloping and hypnotic fragrances of its collection, Santal du Pacifique. This is the scent I chose to wear in icy London, to make me warm from its woody, warm and velvety notes. While I was in town I was invited to discover one of the boutiques where you can buy niche perfumes by Perris Monte Carlo, which is called Fenwick. Surely many of you will already know it as it is located on one of the most famous luxury shopping streets, Bond Street. 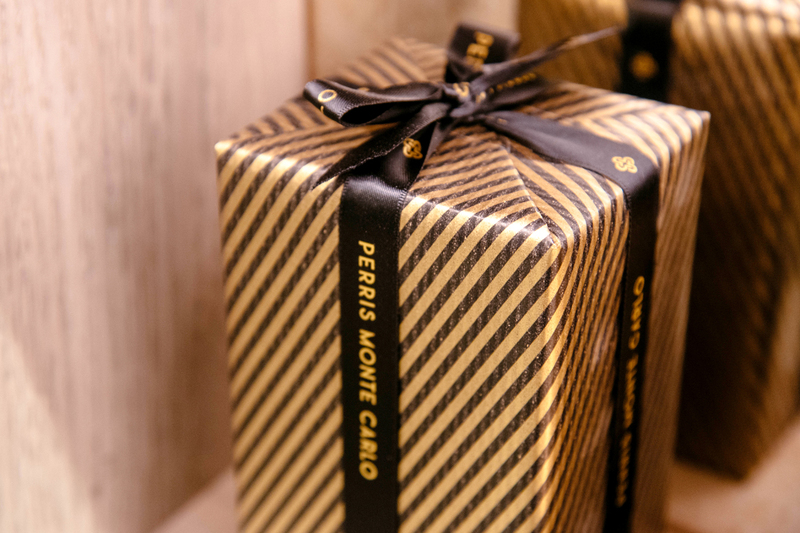 I saw with my eyes the beautiful gift boxes made for Christmas by Perris Monte-Carlo: yes, even though we were at the beginning of November, the shop was already completely decorated for the holidays, with lots of sparkling Christmas trees, balls and golden stars. Because it’s never too early to start getting ready for the most magical day of the year! Before saying goodbye, I would like to answer one of the questions I receive most frequently on Instagram when I talk about Perris Monte Carlo niche perfumes: where I can buy them? HERE you can find the complete map of the boutiques, available on their website! I hope you can get ideas for some of the gifts that you will make to those dear to you. It is incredible how perfumes are able to make us travel not only in space, but also back in time, to relive the experiences that most excited us. Does it happen to you too? Thank you Perris Monte-Carlo for traveling together: it was wonderful! I’ll be waiting for you soon here on the blog with new stories and I wish you all a happy Wednesday!